A group of residents in the region of Odessa, one of Ukraine’s largest cities, is trying to break away from the Ukrainian government that was formed after the coup in Kiev in February 2014.As the first anniversary approaches of the 2 May 2014 massacre by U.S.-backed Ukrainian Government thugs against pamphleteers in Odessa’s Trade Unions Building, who had opposed the 22 February 2014 U.S. coup in Ukraine, there has been forming in Odessa a movement for complete independence from the U.S.-coup-imposed Ukrainian regime. Ukraine’s U.S.-imposed regime’s response is to crush this incipient movement before word of its existence can even get out to the rest of the world. That May 2nd massacre sparked Ukraine’s civil war, by terrifying all Ukrainians who respected Russian culture and who considered themselves to be part of it (and such Ukrainians dominated the southeastern half of Ukraine). It showed them that the rabidly anti-Russian, pro-nazi regime which had recently been installed by the U.S., was seeking nothing less than their own destruction. (The scenes from it, and testimony from its witnesses, were absolutely horrific.) 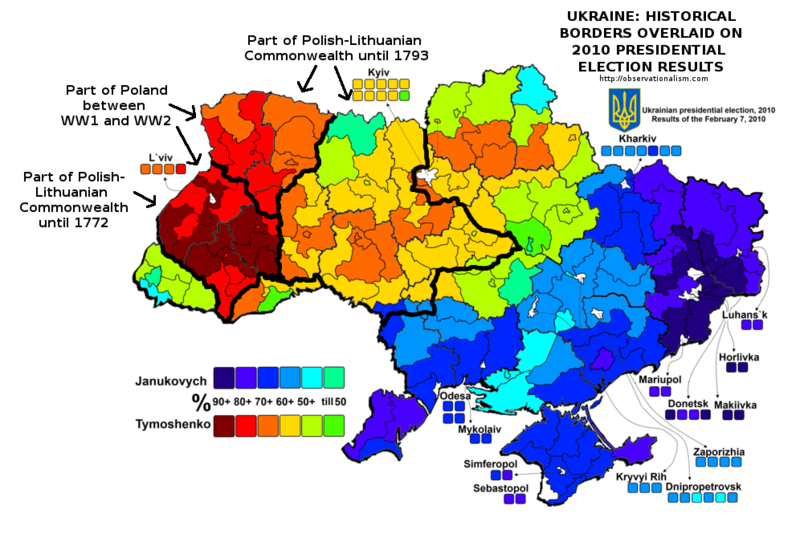 Throughout the entire southeastern half of Ukraine’s territory, the Ukrainian President, Viktor Yanukovych, whom Obama’s coup overthrew, had received large majority electoral support, as a consequence of which, Ukraine’s southeastern half became — after Obama’s anti-Russian coup — a tinderbox for civil war, and for potential separation from the northwestern, nazi-tolerant (often even overtly pro-Hitler), half of Ukraine. Thus, on April 7th, an announcement by P.S. Kovalenko was made of some courageous individuals who on April 6th were attempting to establish the Odessa People’s Republic. The headline was: “Odessa People’s Republic declared its independence and secession from Ukraine.” This was a naive thing for them to do, publicly and without any military, opposing a heavily armed nazi regime, as they are doing. Donbass is the region, encompassing two major cities to the east of Odessa, Luhansk and Donetsk, and their surrounds, the entire area of which had voted 90%+ for Viktor Yanukovych, the President whom Obama overthrew in the February 2014 coup, the coup in which America’s CIA paid the Right Sector army of the Hitler-admiring Dmitriy Yarosh to dress like state security troops and then to gun down anti-Yanukovych demonstrators, so that Yanukovych would be blamed. Yarosh had the key assistance of the head of the other major nazi party in Ukraine, Andriy Parubiy, who had led the Maidan protests that served as PR cover for the coup. But the actual troops were Yarosh’s; they were Right Sector — the same far-right group who organized and largely executed the May 2nd massacre in Odessa. The security forces (SBU) arrested several dozen residents of Odessa, supporters of New Russia. Those arrested were subjected to severe torture. “Odessa again, is choking on the blood of their sons. At this time, the Nazis did not wait for May to act. Punishers of ‘Security Service of Ukraine’ arrested several dozen supporters of the New Russia. According to information received, they are now trying the most sophisticated, almost medieval torture-methods. I was told about this by reliable and trusted sources. “On the outskirts of the city there were created some form of ‘national guard’. Taking this opportunity, I would like to refer to the movement “Antimaydan” some leaders who for some unknown reason, I have ranked me to the ‘agent of the SBU.’ I would like to know: on the basis of what you have done such a strange thing (that has nothing to do with reality). [He is saying that he supports the anti-corruption sentiments of the vast majority of Maidan demonstrators but not the nazis who used them as cover for Obama’s coup.] The time will come when you will be ashamed of that accusation. “Long live the united and indivisible Novorossia! So, whereas the residents in Odessa are probably overwhelmingly in support of the local separatists’ goal, they will be too terrified of the U.S.-imposed regime to back publicly any such breakaway movement. Here is Poroshenko receiving multiple standing ovations during his speech to a joint session of the U.S. Congress on 18 September 2014, asking for U.S. taxpayers to send him U.S.-made weapons. This land-clearing operation is being done via tanks and bombers, not via bulldozers. Bullets, bombs (and often landmines), are the technique that’s used. The residents of Odessa aren’t likely to want to join that type of fate.